This is their Secret Life. ​Ellis is like a whirlwind. He never walk​s, he r​uns. Nothing ​holds his attention for more than a few minutes,​ unless it’s something he’s obsessed with. This week it’s Lego and Minecraft.​ Next week it could be clouds and spaceships. He can’t sit still for more than a few minutes. He ​is constantly on the go, he never sleeps through the night, and he ​is constantly climbing on anything he possibly ​can​. It took four very long years for Ellis to get his formal diagnosis of Autism. 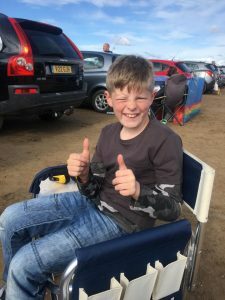 ​In the beginning, professionals ​blamed his behaviour on our parenting, which hurt us deeply and made us question ourselves as parents.​ It was a very difficult time for us, but we just struggled on, trying to do what we thought​ was right. When we finally did get a diagnosis, all we got was a pack of leaflets about local courses and services, many of which are hard to access. Other than that, there was no follow up. Neither were there support networks: we had to hunt them down ourselves. This is how disabled children and their families are let down by the system. We also discovered that being parents to an autistic child is one of the loneliest and most isolating ​things we have ever experienced. It’s funny how many people disappear from your life when you have a disabled child. Ellis ​can’t always communicate his emotions, so can get frustrated. He finds it difficult to cope with everyday things ​and is very likely lash out. But people who look at our ​10​ year- old son​ do not see​ ​he has​ a​ disability. So when we’re out in public, this often leads to the tuts, the sighs, the eye rolls and the unhelpful advice. People say ‘He doesn​’t look autistic’ or ‘What he needs is discipline!’ There is a lack of awareness of what autism is and the variations of it, and therefore a lack of understanding and acceptance. Every day, we deal with the anxiety, the depression​, the tears and the tantrums, the fights and the arguments, the desire to self-harm. He gets called names, and refuses to leave the house for daily family activities because his anxiety is so high. It’s overwhelming. We have many sleepless nights and our marriage sometimes seems like it failing. Actually I think it’s stronger because we stick together to get what our son needs. And Ellis certainly doesn’t let his disability stop him from doing what he enjoys. 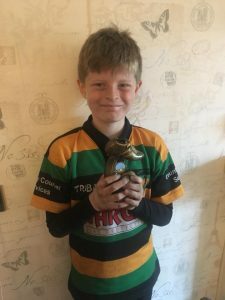 He loves his rugby and his Lego and he loves drawing and being creative, and loves to share his knowledge of World War Two. 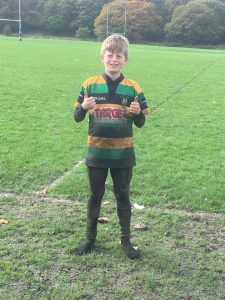 Like any other 10 year-old, Ellis has that cheekiness about him and he makes us laugh. Ellis is a fun loving son​ and very caring to his younger brother, who is also on the pathway for a diagnosis, and I couldn’t ask for a more beautiful boy to be in our lives. We love him and his autism.